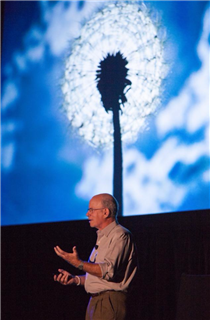 On Thursday, March 17th, the Pacific Ridge Community was treated to uplifting presentations by National Geographic photographer Dewitt Jones and engineering advocate Deanne Bell. 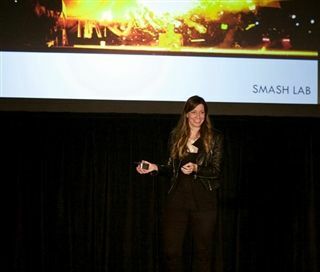 The two speakers lived up to the event's title, encouraging audiences to "Design New Perspectives" on creativity, innovation and potential, during a morning presentation for students and faculty, and an evening presentation for the public. Jones used his stunning photos, and the fascinating stories of their subjects, to share a message of remaining open to possibilities - in art and in life. Bell shared her unexpected journey from young "tinkerer" to host of science-oriented TV shows, sharing her love of engineering and all its possibilities. Her story, she said, is proof that "if you can dream it, you can make it happen."